Kemora circuit has been built in 1983, and re-built in 1987. The total length is 2723 meters. The tarmac has been renewed in 2005. The track is in excellent condition! Along the track there is a covered auditorium for 3000 people, paddock auditorium for 1000 people and 30 pitboxes. In the maintenance building we have showers and restrooms for both men and woman, and a child care room. 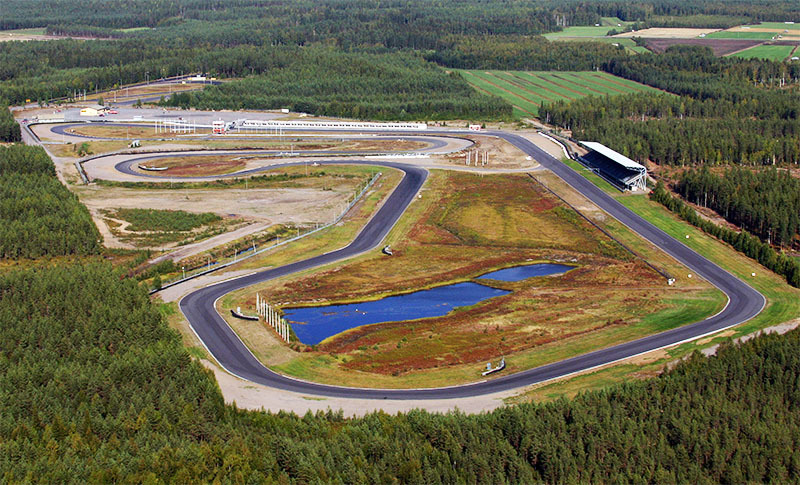 Along the track there is also cafeteria which offers grilled food, refreshments and a sauna. Furthermore we have spaces for conference purposes up to 80 persons. In the area we also have an approved winter condition training course. Green days are events in which the organiser takes outside drivers or riders. Red days are events in which the organiser doesn’t take outside drivers or riders. Events are divided according the type of event car, motorcycle or both. Weekdays (Monday- Thursday) are possible to book thru the year. Weekends (Friday- Sunday) are only possible to book after Finnish race calendars are ready. Weekends are mainly reserved for bigger events.